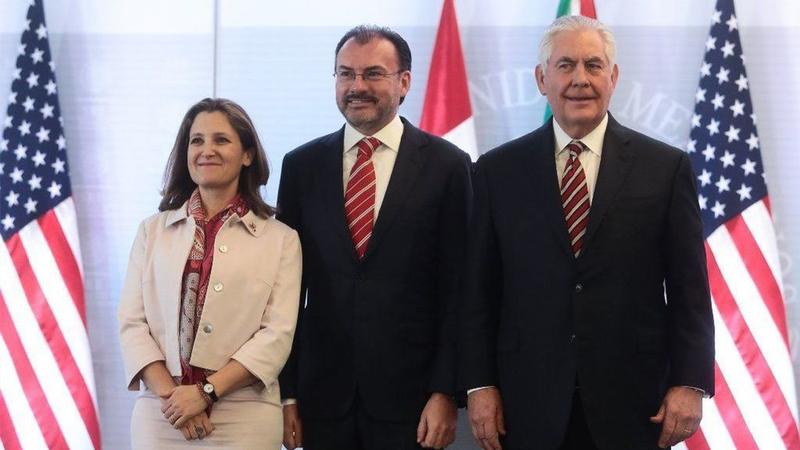 Only two days before, Tillerson met with Mexican Foreign Minister Luis Videgaray and Canadian Foreign Minister Chrystia Freeland in Mexico City to discuss the North American Free Trade Agreement (NAFTA), amongst other topics. In addition to addressing the relations between the United States and Mexico, a relationship that has brought much global attention since the election of Trump, Tillerson’s main objective during his tour is his visit to Venezuela. Since 2016, Venezuela has been entrenched in one of the worst political and economic crises in the countries' history. Consequently, the United States Department of Treasury has added various Venezuelan government officials to its sanctions list due to allegations of corruption and violations of human rights. These sanctions are believed to have caused a shortage of basic necessities in Venezuela. In addition, the European Union has also imposed sanctions on Venezuela. As part of his tour, Tillerson called upon Latin American nations to protect themselves against “potential predatory actors” and the “unfair trading practices” of the Chinese government. Increasingly, China has focused more of their attention on Latin American affairs as President of China Xi Jinping, pledged in 2015 to directly invest USD 250 billion in Latin America and increase its trade with the region to USD 500 billion until 2020. The United States remains Latin America and the Caribbean’s largest trading partner, but China’s economic influence in the region could pose future problems for the US. Tillerson’s tour of the region will likely set the tone of how Latin America and the Caribbean will continue to relate to its largest influencers: the United States and China.